To live a life of purpose, you should treat those around you like they matter. For example, a cafeteria worker might feel her job doesn't matter. Yet, what if while doing her job, she gives kids the only kind words and the most genuine smile they will get each day? Doesn't that make her job of serving food more purposeful? Another example could include a handyman that takes the time to talk to the widow whose house he is repairing. It might not seem like much to the man, but to the lonely widow who was yearning for company, it can make a great difference. In the service industry, each customer served is another opportunity to make a difference. If your nine to five job isn't world-changing, that doesn't mean you can't still make a difference and live out your passion. Find organizations that are addressing the areas you feel need attention. Join their cause through volunteering your time. If possible, you can find ways to combine your day job with your volunteer efforts. For example, let's say you work in an office and you want to give back to kids who have cancer. Ask your co-workers to make donations along with you. Organize a visit to a local hospital and take gifts to the kids. Make baked goods, sell them to your co-workers, and then give the proceeds to the organization. You could also take part in a run that benefits the cause and ask your co-workers to join in. 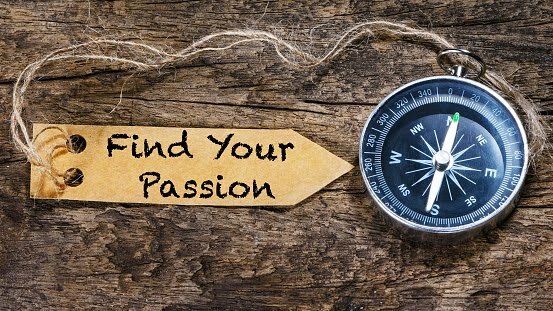 The main thing to remember is you don't have to keep your passion and your profession separate. In fact, many businesses are more than willing to give back to worthy organizations. It's good PR, and they can write it off on their taxes. Above all else, to live a life of passion and purpose, you can't give up. Even if things haven't worked out exactly as you would have planned, you can still live a life that changes the world. Of course, this doesn't mean you have to remain in the same career, but you shouldn't feel the only way to live a life of passion is to change your profession.